UCSF is moving to bring primary care physicians and other providers together with geneticists, and incorporate genetic information in the care of healthy patients. The ease by which patients can dive into their own genetics has opened new doors to understanding personal health, but it has also left consumers with mounds of information to digest before they can make informed decisions. Ophir Klein (left), M.D., Ph.D., is leading initiatives at UCSF that will bring together geneticists with clinicians so patients have an avenue through which they can discuss genetics. While new insights into human genetics have led to better diagnoses and treatments, they have also shown researchers how complex the relationship is between genetics and health, particularly when considering the overall health of a patient who is well. 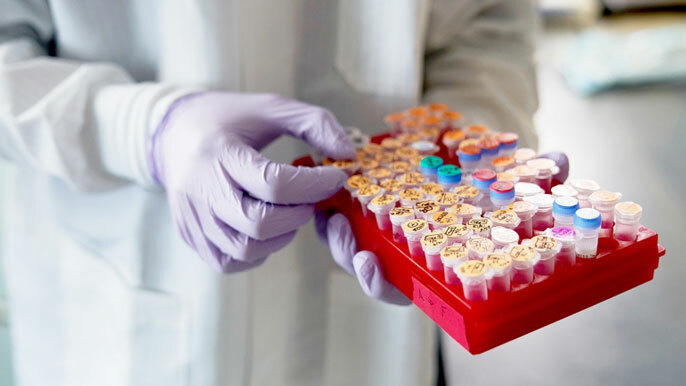 Until now, Klein points out, genetic testing has been focused on diagnosis and treatment of the sickest patients, often when all other efforts have failed. Klein wants to bring primary care physicians and other providers together with geneticists, and incorporate genetic information in the care of healthy patients as well. Klein has seen a growing need to broaden the degree to which genetics is integrated into medicine at UCSF. His team is launching initiatives that he says will reach beyond genetic testing to create an environment where practitioners and patients discuss genetics together. The need for such an effort was substantiated when, on Nov. 6, the Food and Drug Administration announced it will streamline rules for bringing direct-to-consumer genetic tests to market. The new tests may reveal health information for patients, but the results may be uncertain, raising questions about how to interpret them. Klein says that an important focus for the division is to address the implications of the increasing ease with which consumers can be screened for genetic markers and receive results without professional interpretation. Bryce Mendelsohn (right), M.D., Ph.D., is co-leading UCSF Health's new Preventive Genomics Clinic. One large step forward for UCSF’s genetics effort is UCSF Health’s Preventive Genomics Clinic, which opened earlier this year. With a focus on healthy adults, the clinic offers genomic screening and consultation to patients, making UCSF one of the few academic medical centers in the nation to offer this service to the public. At the new clinic, patients can make appointments to discuss their health questions about genetics and consider if genetic testing for a variety of conditions is right for them. Screening tests can focus on specific disease categories, or sequence the whole exome (the protein-coding regions of the genome). The only requirements are that the patient is not seeking a diagnosis for active symptoms or for a condition for which she or he has a strong family history. For rare disease diagnosis (as opposed to screening), whole exome sequencing is available at UCSF in a specialized clinic run by clinical geneticists Anne Slavotinek, M.D., Ph.D., and Joseph Shieh, M.D., Ph.D. While there are some similarities between the clinic’s offerings and direct-to-consumer genetic tests, UCSF clinical geneticist Bryce Mendelsohn, M.D., Ph.D, is quick to note that UCSF’s mission and standards are very different.. Sometimes, he says, people decide they don’t want the test when they realize it’s not actually going to give them the information they’re looking for. The Preventive Genomics Clinic — and its potential — is an example of the power of what Klein is trying to build. By bringing geneticists together with other clinicians, his aim is to create new collaborations between health care providers, geneticists and patients. These efforts will help to further integrate UCSF’s many genetics efforts, which range from basic biomedical research in the Institute for Human Genetics (IHG) to clinical genetics activities in various medical departments. “I want to see us become greater than the sum of our parts in terms of our clinical genetics activities,” Klein said, acknowledging that bringing those parts together will be a long-term challenge. To propel UCSF forward, IHG and clinical genetics faculty members recently applied for and received two grants: one from the National Institutes of Health and the other from the California Initiative to Advance Precision Medicine. The grants will fund activities that bolster the presence of genetics in UCSF clinics. He said that working together with physicians and patients will allow UCSF to help navigate this increasingly complex landscape. UCSF is one of the few academic medical centers in the nation to offer genomic screening directly to the public to help them better understand their health and future disease risk. Learn more about this service.